Congenital heart defects are defects already present when the baby is born. These types of birth defects are often referred to as congenital anomalies or congenital abnormalities. While some types of congenital birth defects may appear to be mild or nonexistent, there are others that are much more severe. Although there are many types of congenital birth defects, some occur more frequently than others such as cleft palate, Down Syndrome, club foot, spina bifida, Tay-Sachs disease, mental retardation, chromosome abnormalities and heart defects. It is possible for congenital birth defects to occur in the absence of liability by health care providers, although birth defects can be caused by medical professionals. An example of this type of occurrence is if a birth defect developed as a result of taking a medication that was prescribed. In this instance, the physician who prescribed the medication and its manufacturers may be held liable. When a child is born with a birth defect, it is possible for some people to assume that legal action cannot be taken. 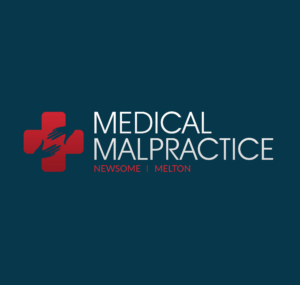 For this reason, it is imperative that affected families speak with a knowledgeable malpractice attorney who will be able to provide additional information and resources. They will be able to assess the details of the case and make a determination if there is reason to believe that the birth defect was caused by medical malpractice. Coronary artery disease, an abnormal heartbeat, and congenital heart failure are just a few conditions that are associated with heart disease. These types of conditions are serious and it is the responsibility of a physician to make the proper diagnosis of heart disease for any patient who presents with symptoms of the disease. If the patient suffers an injury due to not being diagnosed, it may be possible for the doctor to be held liable. Chest pain, shortness of breath, and fainting are warning signs of heart disease that needs to be taken into consideration by a physician when seeing a patient. Fatigue, lack of energy, dizziness and swelling of the hands, ankles and feet are symptoms that are indicative of specific conditions that are related to heart disease. It is recommended that patients seek a second opinion if they present with any of these symptoms and have not been considered as possibly having heart disease. Health care professionals are expected to provide a specific standard of care and their actions may be considered negligent if they do not uphold this strict standard. If a physician does not perform the same tests that all physicians would if they were in the same situation, medical malpractice can occur. Physicians are expected to carefully examine test results and inform the patient if they do have heart disease. Should a patient suffers injury as a result of not being diagnosed with heart disease, he or she may be able to sue for medical malpractice. Filing a medical malpractice claim is complicated and requires the assistance of an experienced attorney. They will be the most qualified to help prepare the claim and ensure that the patient’s rights are protected.